Curated by local artist Daniel Savage, this one-day conference offers three sessions aimed particularly at those connected to arts practice including independent artists, arts organisations and arts workers. Session one provides a panel discussion with Imogen Yang, Liz Lea, Ruth O’Brien and Adelaide Rief: Culture Change: embedding access for sustainable change and performances by Hannah Cormick, Liz Lea with Katie Senior and the Black Mountain School. Learn how to audio describe with Imogen Yang and then gather for socialising and a showcase in the evening. 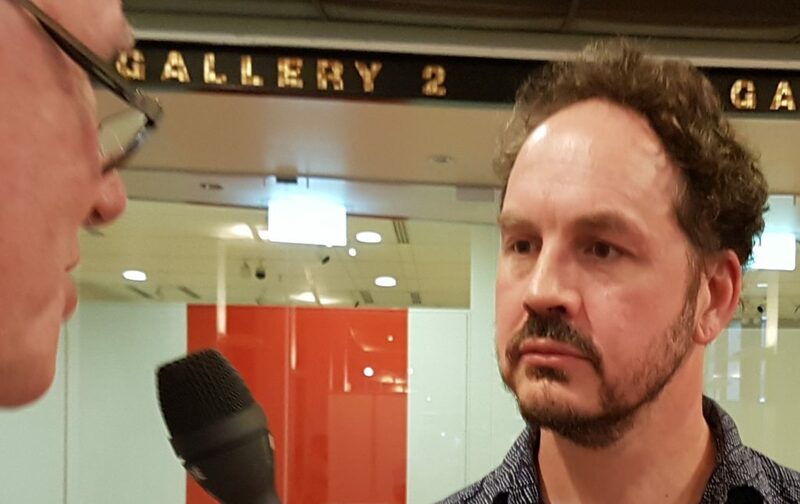 Listen to Barbie’s interview with Liz Lea, Ausdance ACT Program Curator, and Daniel Savage, Curator I-Day Arts Conference. 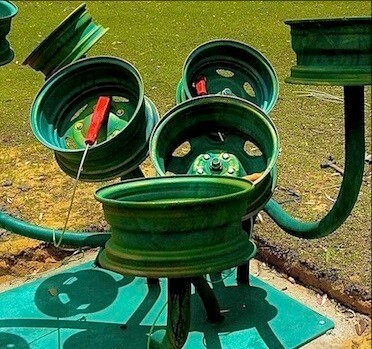 Join the Circularsawuses for the launch of the musical playground, a collection of marvelous musical inventions like the Ski Bass, the Bicycle Hurdy Gurdy and the Flutes of Many Mouths. Sound will be made from satellite dishes, umbrellas and tea chests. You can even try out the instruments for yourself. This latest collaboration by the always inventive Griffyns includes Jim Sharrock, Byrd and Mark Cain. 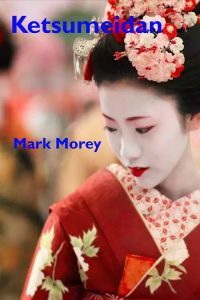 This historical fiction by Canberra writer Mark Morey is set in the early 1930s through to the end of WWII in Japan. It deals with the machinations of the military and secret societies to propel Japan to war. Geisha culture also comes under the spotlight with main character Aiko Orikasa who joins forces with ethical policeman Inspector Yuudai Sato in an effort to stave off the various forces of evil. Mark Morey draws on many real events from the time including, interestingly, an unsuccessful plot to assassinate actor Charlie Chapin. 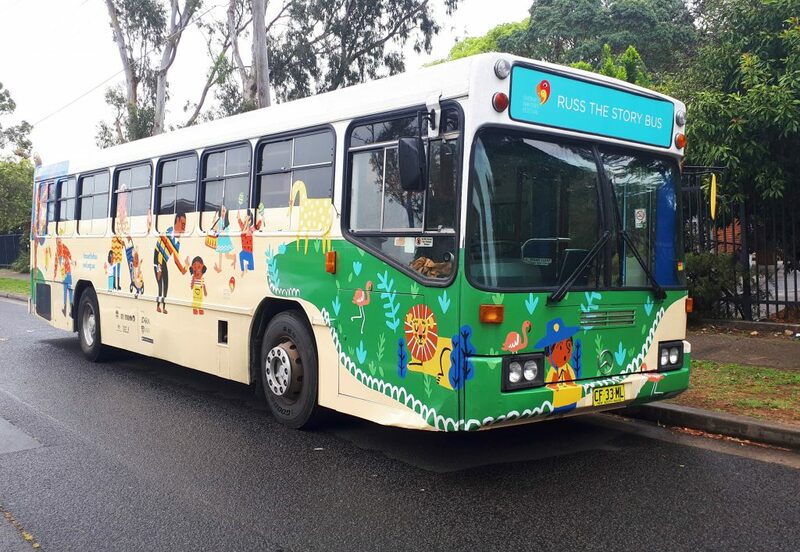 Now in its fifth year Russ the story bus is part of a long-term Sydney Writers’ Festival strategy to inspire young readers by introducing them to authors and illustrators. This year’s bus design is based on the book Love makes a family by Sophie Beer. Russ is visiting four Canberra schools with author Damon Young who will share his work and ideas. Children can then select a book from the bus to keep. 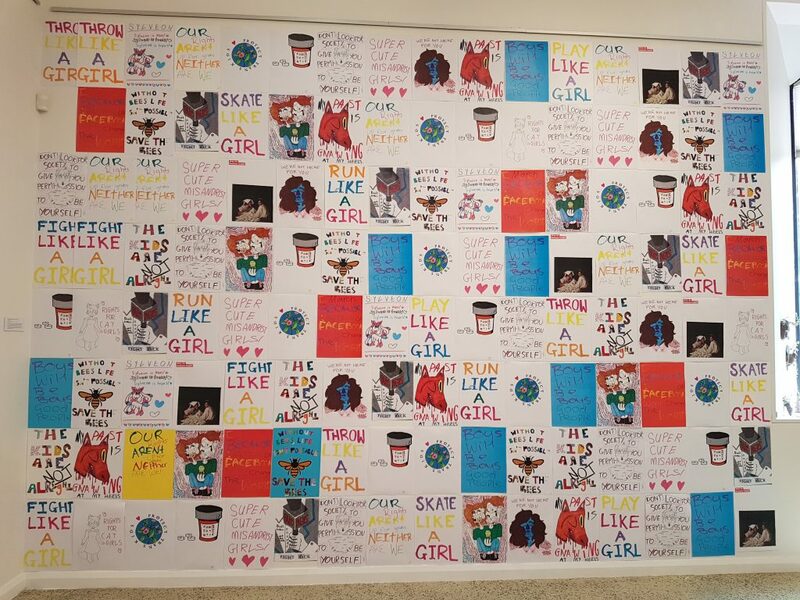 The story bus has so far visited 167 primary schools in NSW, Victoria and the ACT, touring 20 authors and providing 18,000 children with a special experience of Australian literature. 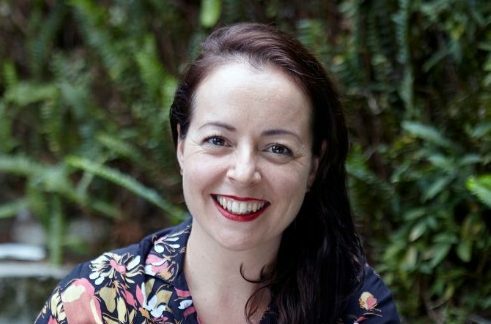 Listen to Barbie’s interview with Amelia Rush, Sydney Writers’ Festival Head of Children and Young Adult Programs. 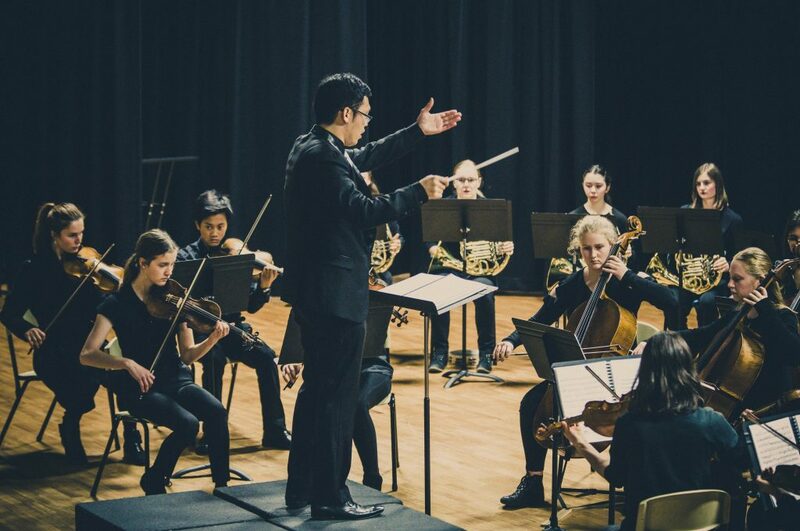 Conducted by Shilong Ye, the James McCusker Orchestra with soloist Kristian Winther presents a repertoire including Vaughan-Williams’ English Folk Song Suite, Mozart’s Symphony No. 40in G Minor and excerpts from Tchaikovsky’s Nutcracker Suite. Alumni from the past 50 years join the performance, making this a very special musical event. Bach as you’ve never known him and as you’ve always known him awaits CIMF audiences in 2019. The festival opens with didgeridoo player William Barton playing with the Ntaria Choir from Hermannsburg near Alice Springs, singing Bach, as they have been doing for 120 years. Taught by Lutheran missionaries, they sing Bach hymns and chorales with soul in their own languages, Western Aranta and Pitjantjatjara. Padma Menon of Moving Archetypes invites you to enter ‘an enigmatic, joyful and passionate world of Siva’s dance’. 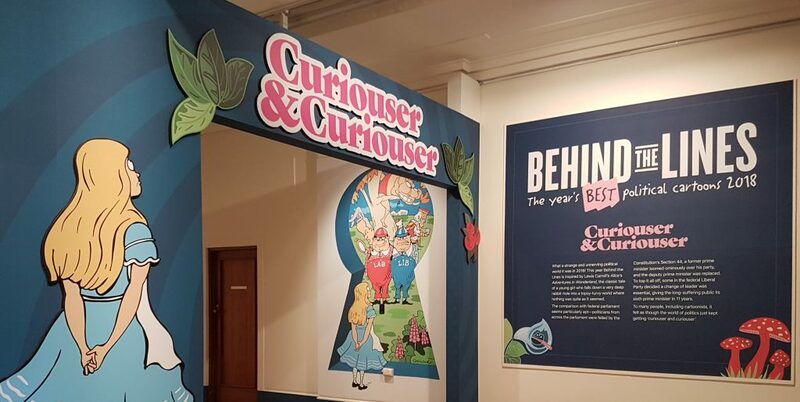 The annual exhibition of cartoons ,portraying the bizarre world of our political landscape, is this year inspired by the work of Lewis Carrol, Alice in Wonderland. The exhibition includes work by Mark Knight, Alan Moir, CathyWilcox, John Shakespeare and Judy Horacek. At the opening of the exhibition on Friday 15 November 2018, the cartoonist of the year was awarded to Matt Golding. 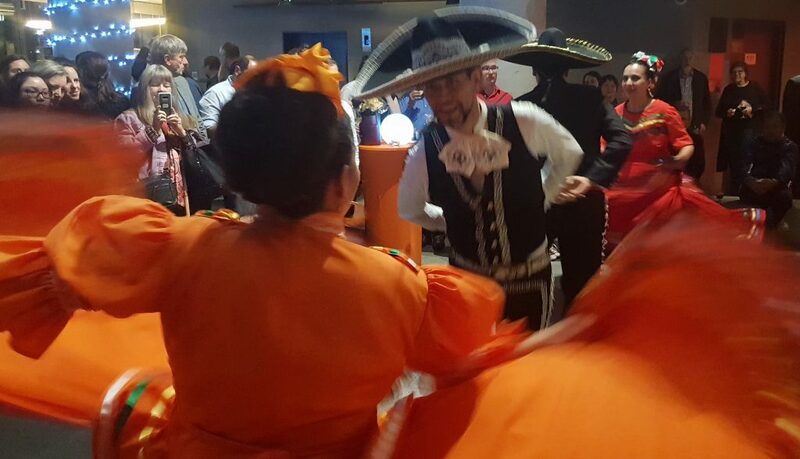 Thanks to the Embassy of Mexico and Palace Electric for delightful opening night hospitality and a moving cinematic experience with the Mexican film Roma, directed by Alfonso Cuarón. Messengers is an arts based early support program that has been improving the mental health of young Canberrans for 18 years. 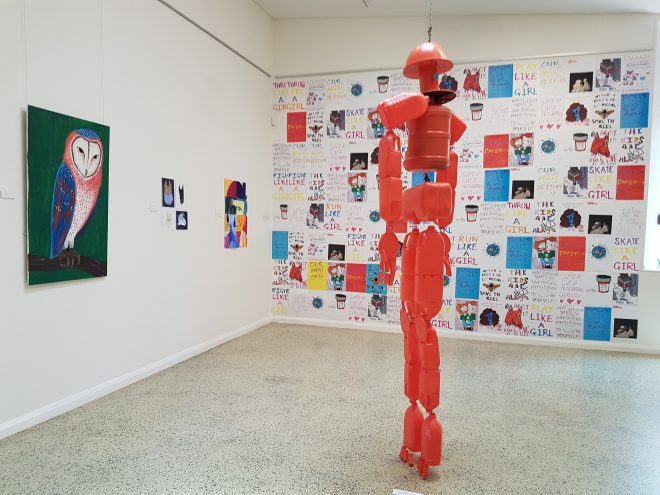 To mark the occasion, the Tuggeranong Arts Centre ia presenting a collection of student work in the Always Hope exhibition. 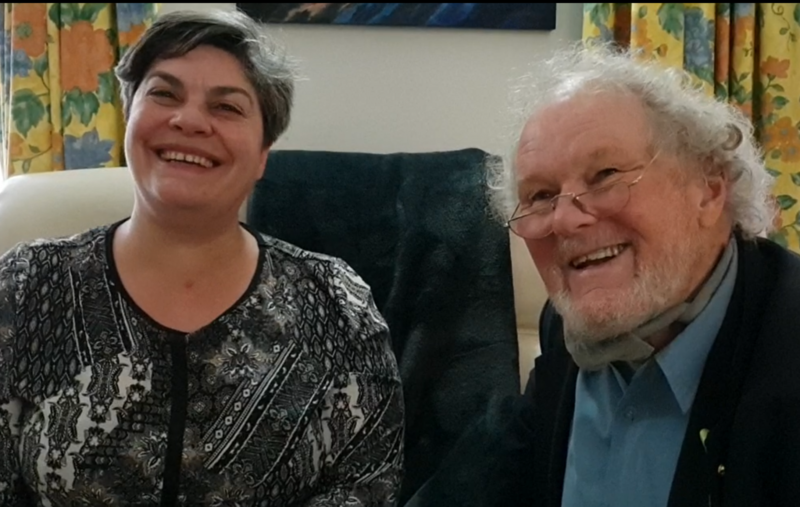 Listen to Richard’s interview with Messengers program manager Penny Stott and artist/tutor Tony Steel. With a goal of 200 new songs in 10 weeks, MusicACT is offering free places to 20 Canberra songwriters as part of a partnership with the I Heart Songwriting Club, founded by Francesca de Valence (pictured). To apply, songwriters should attend a workshop on Saturday 17 November at 12pm at Ainslie Arts Centre. Our friends at Artistic Vision Gallery are moving from their current address and are having a huge clearance sale with 20 per cent off all their rescued artwork until Sunday 18 November. They hope to be back in new accommodation early in the new year and will advise the new address as soon as possible. Meanwhile they suggest a piece of reclaimed and re-loved artwork for Christmas stockings. Open Friday and Saturday10-4pm, and Sunday 10am-1pm at 7 / 51 Tennant Street, Fyshwick. 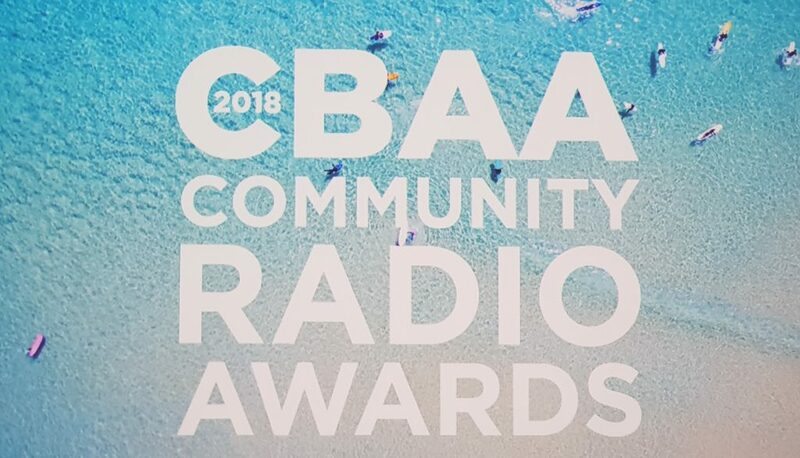 Living Arts Canberra attended the Community Broadcasting Association of Australia conference on the Gold Coast from 8-10 November 2018. We congratulate Canberra community station 1WAY FM, which was the joint winner of the award for Contribution to Australian Music for Definition Radio, a Christian hip-hop program. Also attending the CBAA conference were representatives of Canberra community stations 1CMS and 2XX. 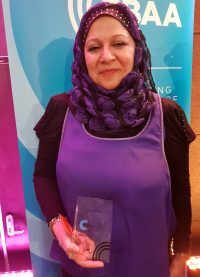 The winner of the prestigious Tony Staley Award was Faten El Dana OAM, and Sydney-based Muslim station 2MFM. The station received the accolade for its vision, strength of management, creative programming and benefit to its community. The award is named for the Minister for Post and Telecommunications in the Fraser government who, in the 1970s, argued successfully for the establishment of community broadcasting. Art Song Canberra – Louise Page and Phillipa Candy: A Celebration! Celebrating their 25 year musical partnership, Louise Page and Phillipa Candy present some of their favourite repertoire. This will include songs by Strauss, Obradors, Purcell and American spirituals.